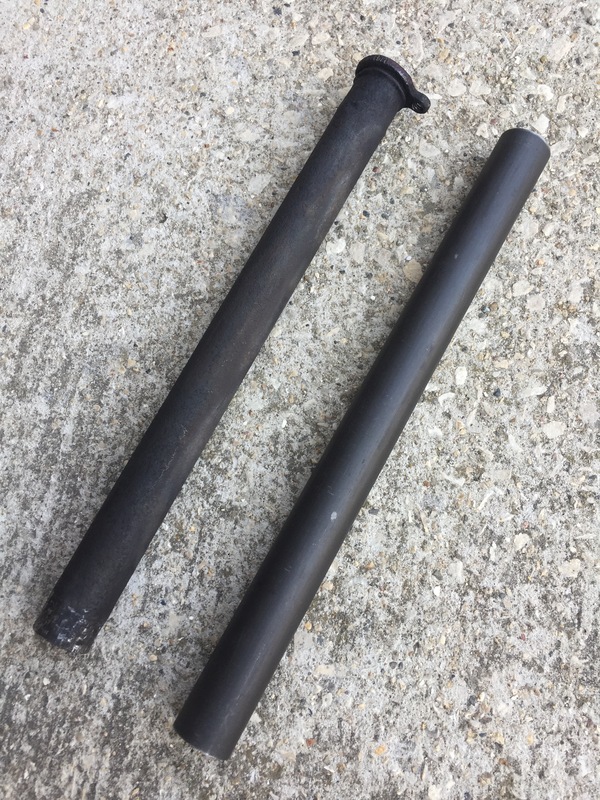 Machining continues – Tribbey motorcycle tales: 1911 Excelsior Restoration, Cannonball, and Cross Country Chase. Slow steady progress. 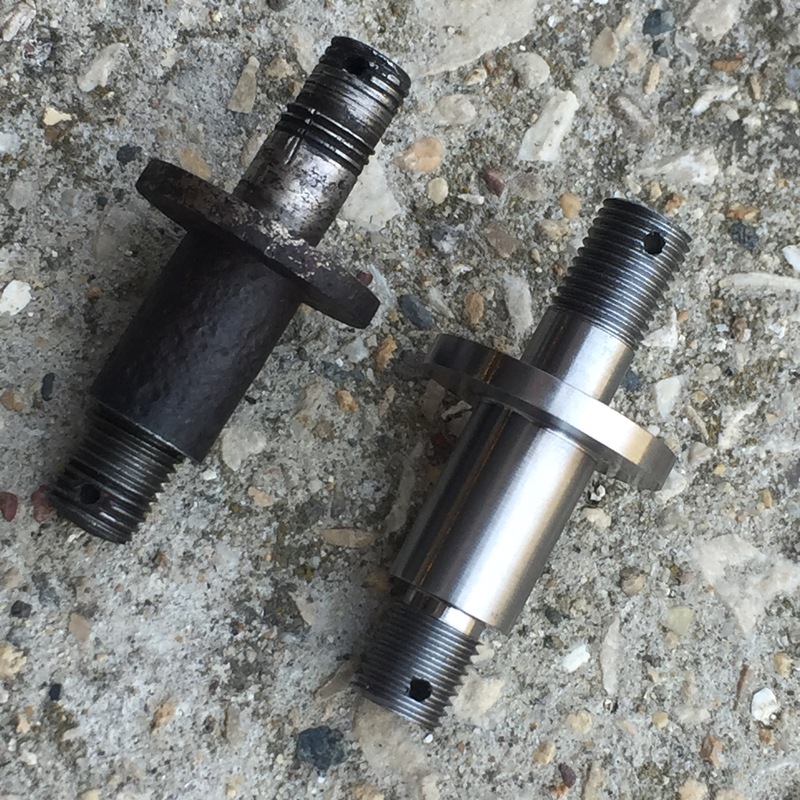 Here is the new bottom fork rocker studs; original compared with the new piece. And here is the old handlebar throttle sleeve and the beginning of the new one. I am thrilled at this continued forward momentum. Still a long way to go! But as I always say, slow and steady progress!